Need to know the definitions? This guide is to help students and researchers identify useful resources in the fields of biochemistry, molecular biology, entomology, and plant pathology. Click the tabs on the left, you will find suggestions to locate journal articles and books. Please contact the Research Services Department of the Mitchell Memorial Library (ask-a-librarian ) for further assistance. "The book provides up-to-date information on a broad range of topics, including definitions for selected terms from Bioinformatics, Biophysics, Cell Biology, Chemistry, Genetics, Immunology, Mathematics, Microbiology, Pharmacology, Systems Biology, and Toxicology. 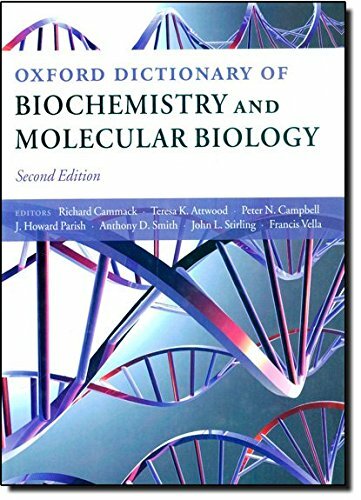 There are over 21,000 main entries, which give details of biochemical substances and the processes in which they are involved, define methods and concepts in molecular biology, and give definitions of biochemical symbols and abbreviations. It points out pitfalls where terms are often confused."